* Free of charge luggage storage before check-in/after check-out available. 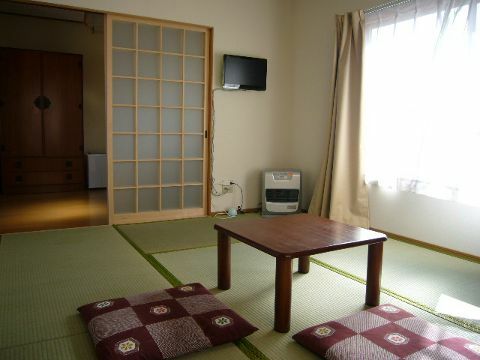 Children's rates: under the age of 7 (without extra futon): FREE of charge; under the age of 12: ¥1000 per night. 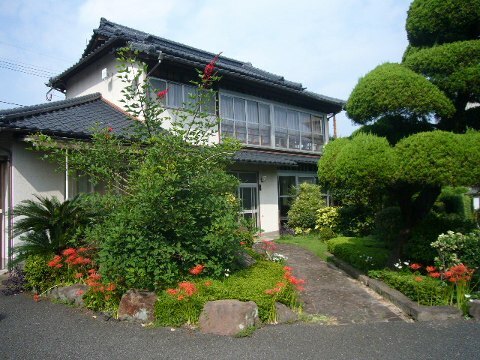 Whole floor of a traditional Japanese house build in 1934, which is surrounded by Japanese garden. 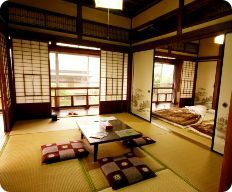 The suite has two connected bedrooms with 6 tatami mats each. The suite is NON-SMOKING. 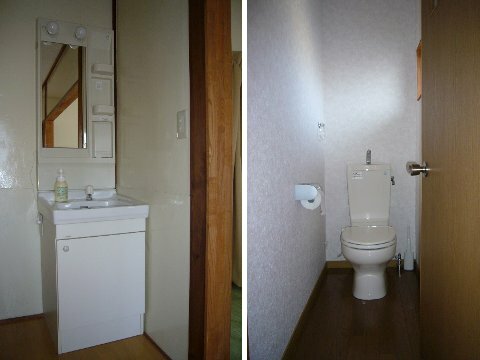 Accessory: fridge, electric kettle, microwave oven, air conditioning/heating. 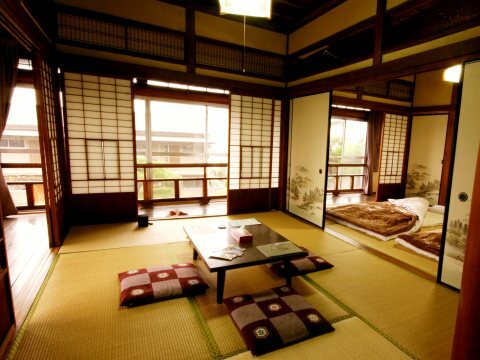 Sleeping: futons made with bottom sheet, pillow, duvet and pillow and duvet cases. 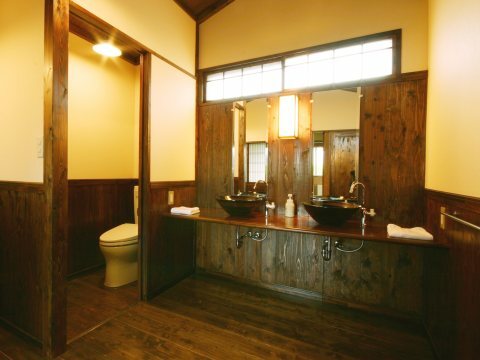 * There is no shower/bath available as we are located in the heart of Kannawa hot springs spa area. 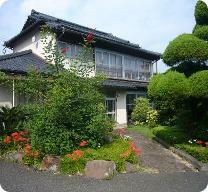 There are many traditional Japanese spas nearby (5 to 10 minutes walk). ** Up to 30% discount for longer stays. Please contact us to get a rate. 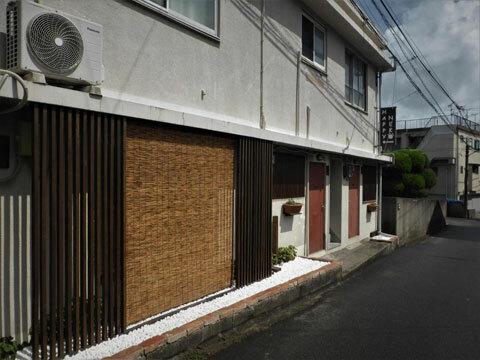 The apartments are situated in a small building next to the main house. 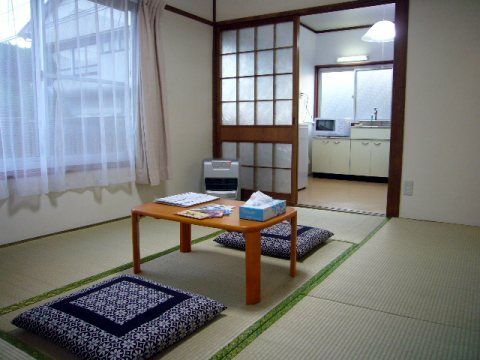 Each apartment has a small kitchen and a living room/bedroom with tatami flooring. The apartments are NON-SMOKING. 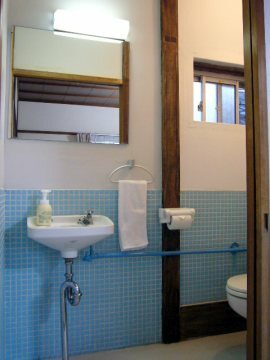 The apartments are not serviced during your stay (they are cleaned only before your arrival and after you leave). 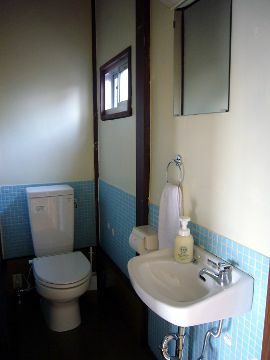 Accessory: fridge, electric kettle, microwave oven, washing machine, vacuum cleaner, TV, air conditioning/heating.